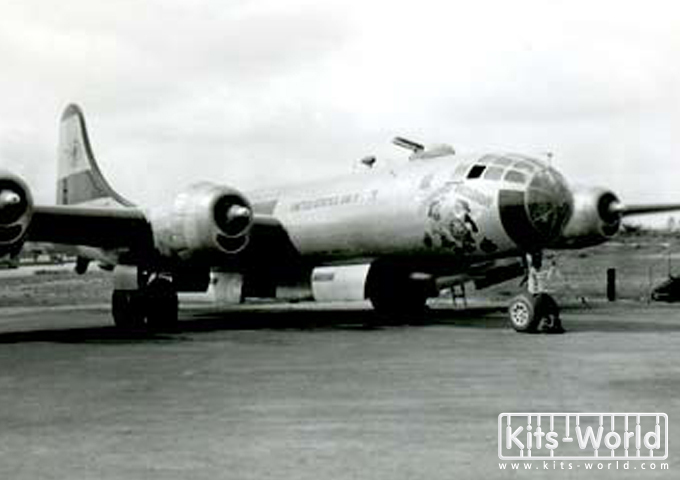 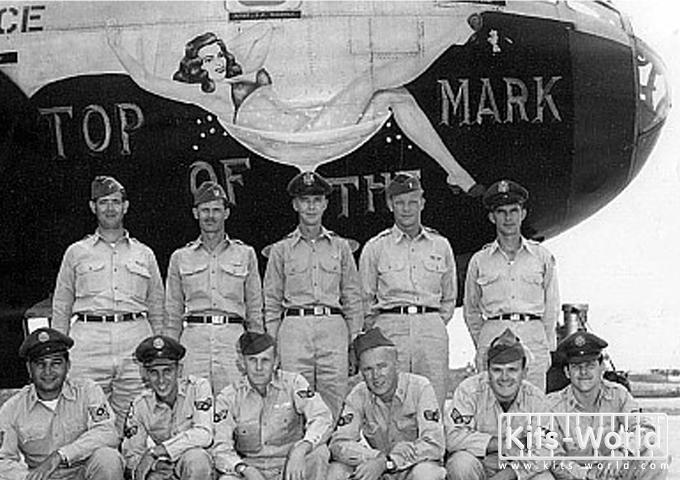 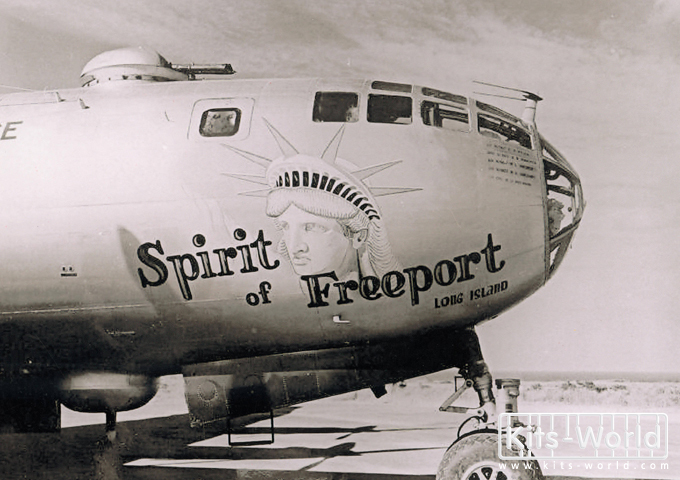 KW172133 B-29 42-24623 'Thumper' - B-29A-45-BN 44-61809 'Sic em!'. 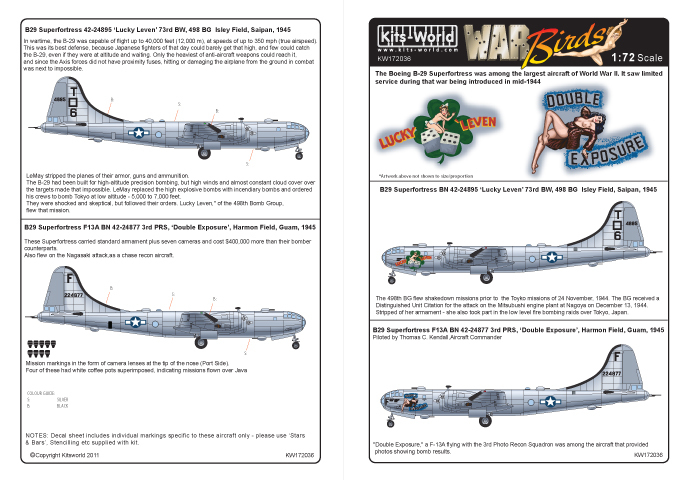 B-29 42-24623 'Thumper' Square A 21 (1), 497th BG, 870th Sq, Titian 1945. 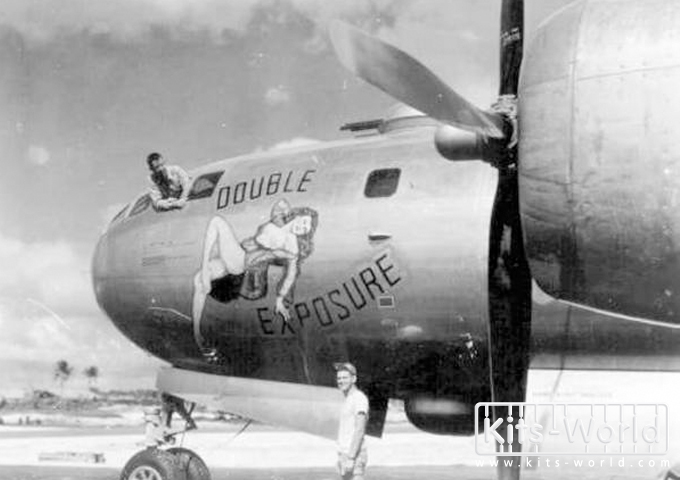 'Double Exposure',an F-13A-55-BW from the 3rd Photo Recon Squadron. 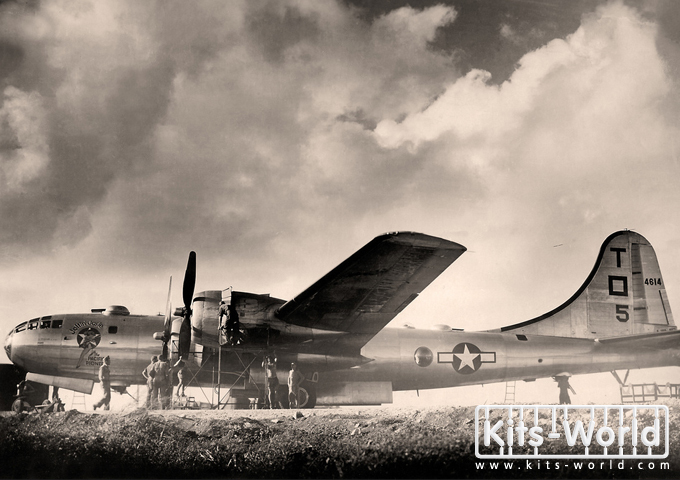 These photo Super Forts carried standard armament plus seven cameras, and cost $400,000 more than their bomber counter parts. 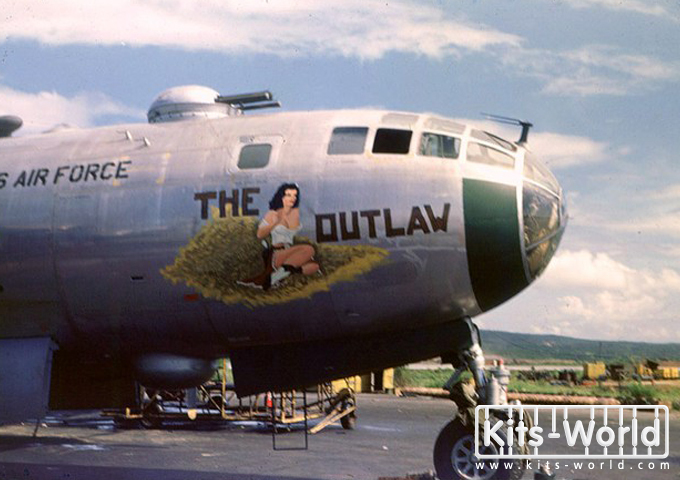 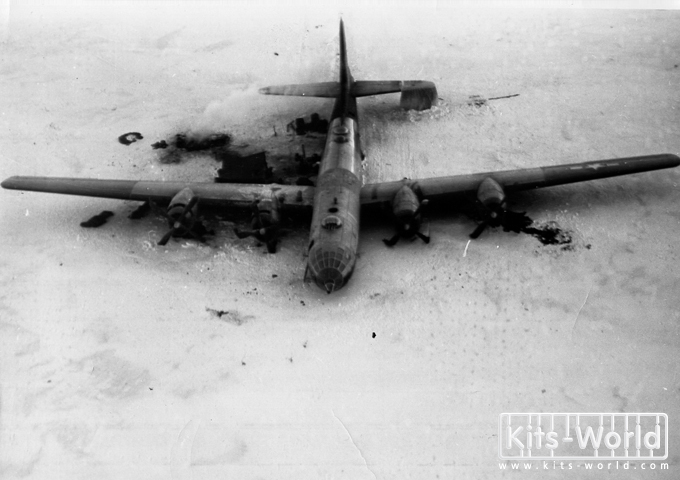 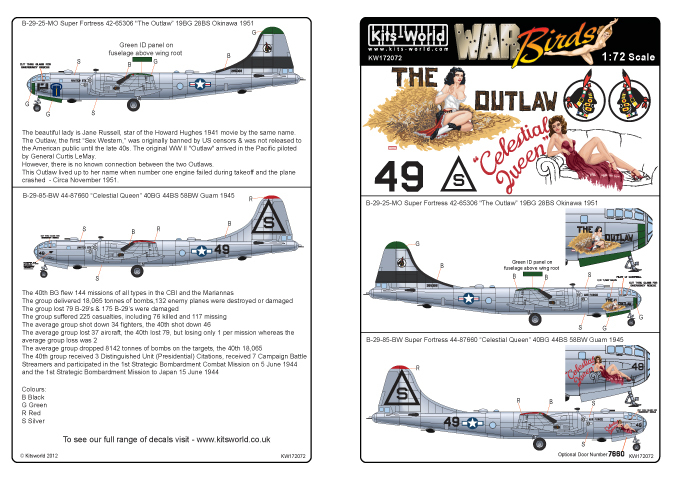 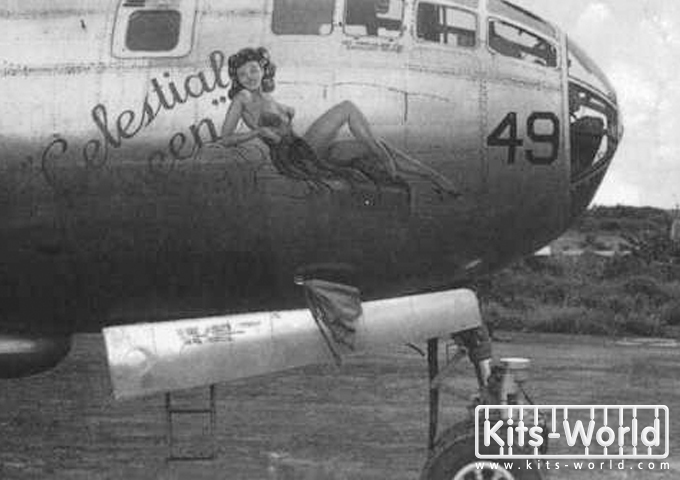 B-29 'Ace in the Hole' Deal Me In serial 44-61872 98 BG In this photo below the cards can be seen clearly. 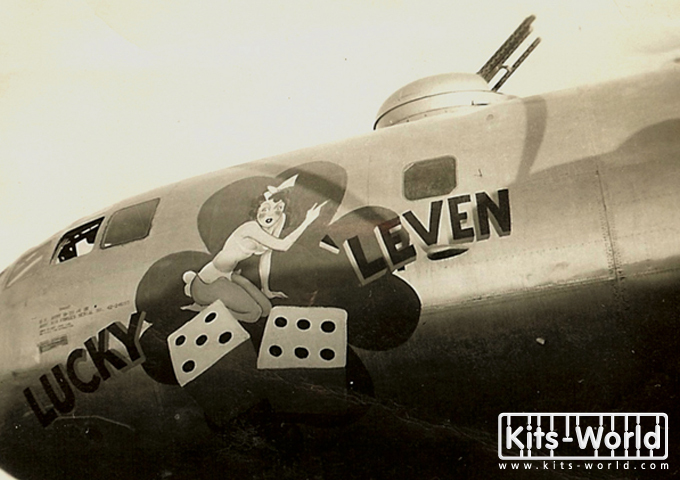 As all good poker players will attest, an ace in the hole is a powerful card. 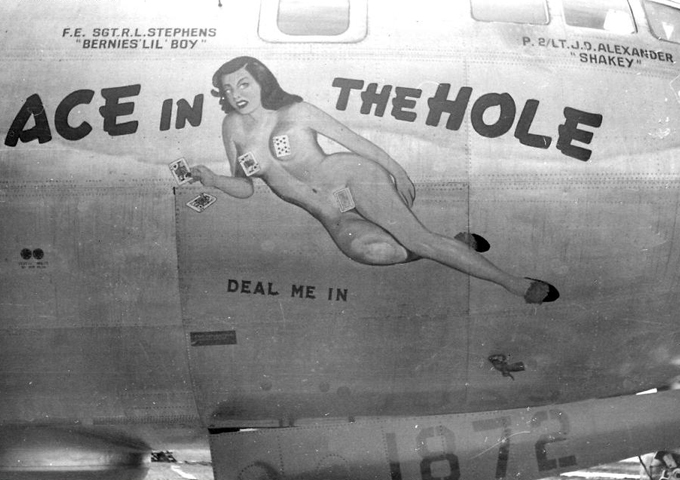 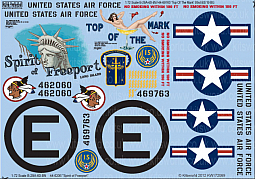 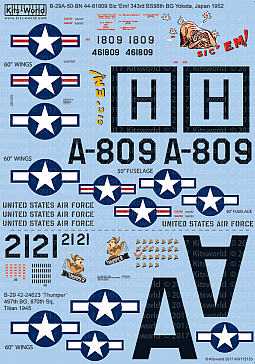 The connotation is that this airplane is the 98BG's powerful hole card. 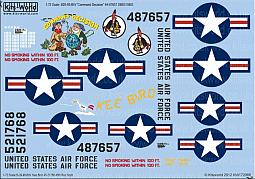 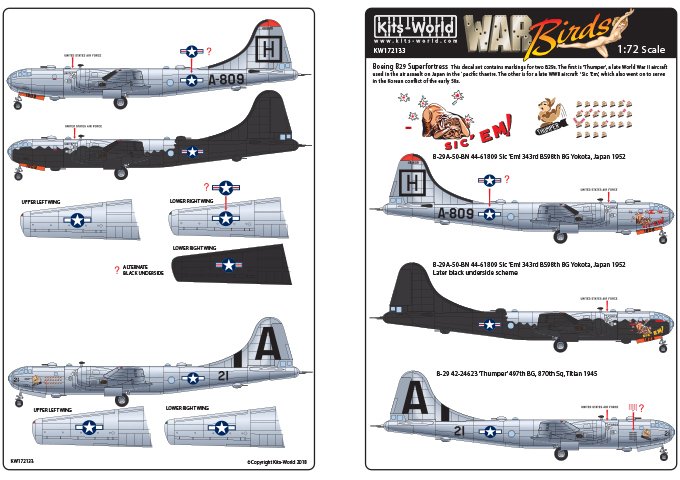 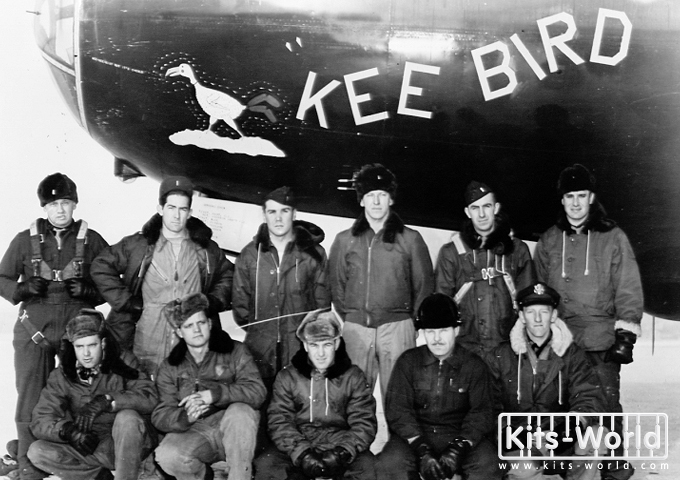 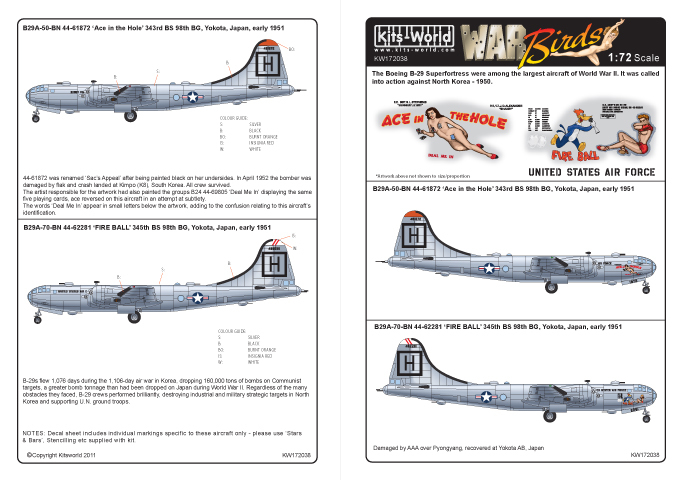 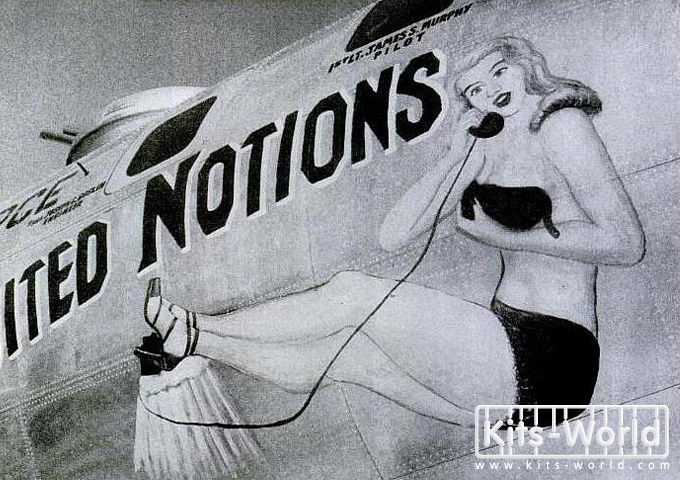 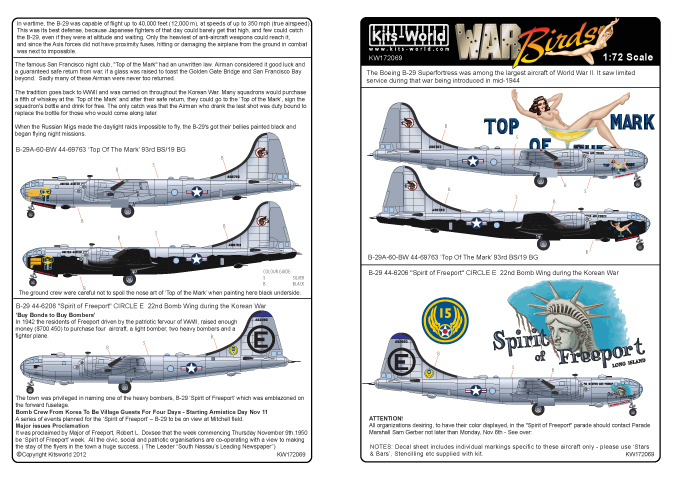 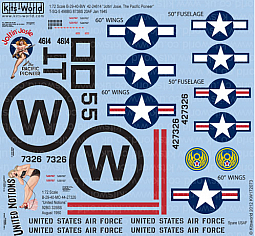 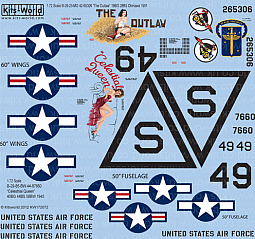 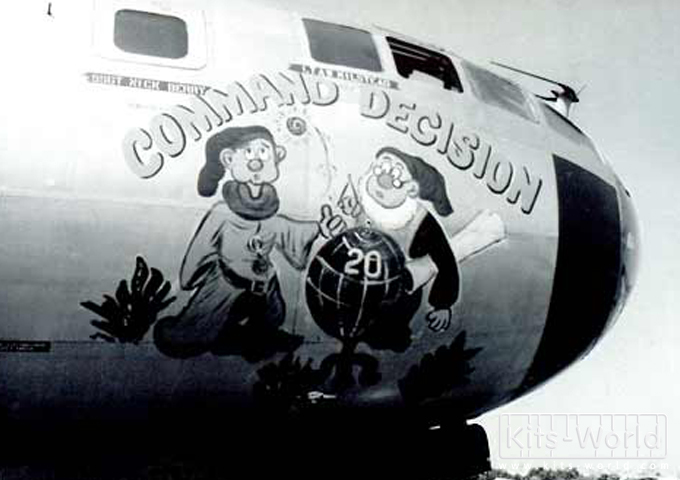 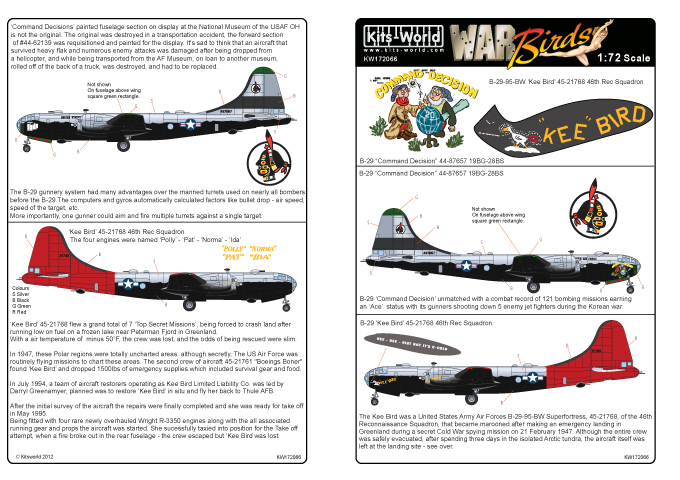 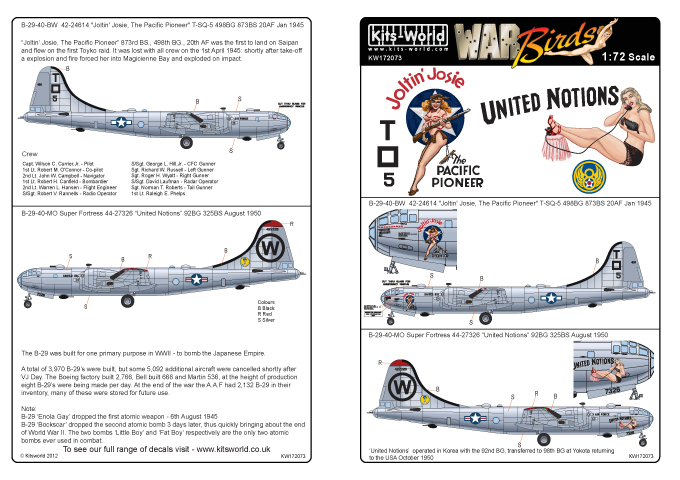 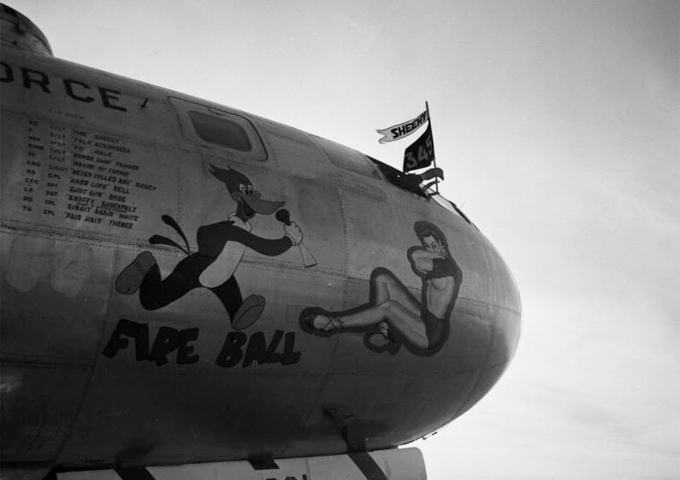 B-29 Command Decision" 44-87657 19BG-28BS B-29-95-BW 'Kee Bird' 45-21768 46th Rec Squadron.